ST. GEORGE — Although the Snow Canyon Lady Warriors had two of the 4A classification’s top-scoring forwards, it was the pivotal work of center Arantxa “Adi” Melendez that helped propel the team to an overall season record of 16-1-3 and the state championship, her coaches say. Melendez was recently named the MVP of Region 9’s all-region team, as voted upon by the region’s coaches. 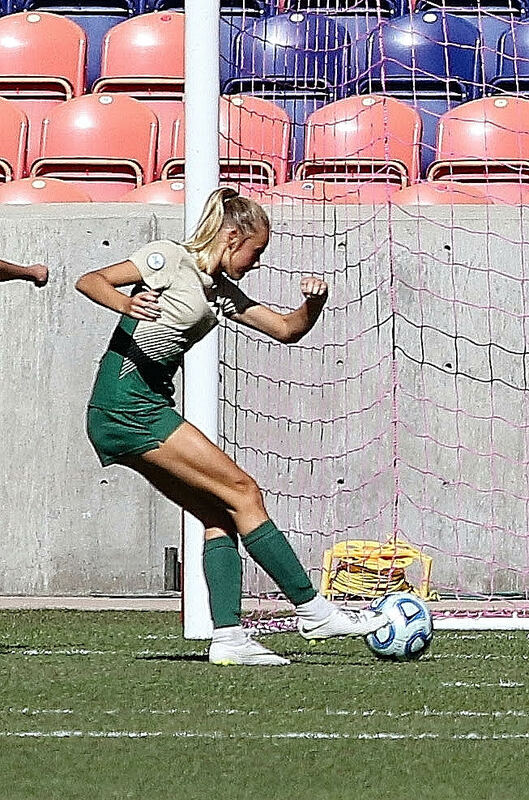 Snow Canyon head coach Kenny Kunde said deciding on a region MVP was a tough choice this year, especially considering that junior Heidi Smith scored 22 goals for the Lady Warriors, while fellow forward Ashley Brindley, a senior, added 20. “But in taking what we did in the state tournament and what we did in the preseason and in the region, the reason we were so successful is because of Adi,” Kunde told St. George News. Kunde also spoke highly of Melendez’s stamina. Melendez, who finished the season with seven goals and seven assists, was joined on the all-region first team by four of her teammates: Smith, Brindley, Samantha Lindsey and Sekada Burchinal. The Lady Warriors also had five players named to the all-region second team: MacKenzee Brough, Tylei Jensen, Amanda Bradshaw, Jaicelyn Losee and goalkeeper Megan Rodgers. Arantxa “Adi” Melendez (MVP), Snow Canyon.